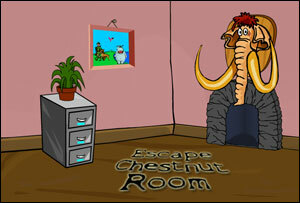 Escape Chestnut Room is the latest Room Escape game created by Paul aka Paskapet from Russia. If you didn’t become crazy with Escape Pear Room and Escape Ecru Room, you will surely like this one! When i turn on the chainsaw to carve it, and i click out of the box, it just turn right back off and then i can’t carve with it. do i need to turn on the chainsaw or what? where are you getting the chain saw? omg! i can not find out the code. i’ve tried tons of walkthroughs!!!!!!! !even youtube!!!!!!!!!!!!!!!!!!!!!!!!!!! pls help asap! Anyone!!!! Help me please…. I wan’t to pass the green safe,,, if someone already pass through the safe please tell me the pattern coz’ I really wanna move on……… Please!!!!!!!!!!!!! I have followed all of the walkthroughs but none explain how to get the 3 pieces from out of the fire after you have fired the shotgun, nothing seems to work. I have had every other piece and completed the safes, etc, but I always get stuck with the fire, can anyone help, please? Just for completeness… There are no sawteeth in the fire. this safe is driving me nuts!!!!!!!!!!!!! i just can’t get it . ugh who ever made this had to be a nerd or a computer geek. AAAAAHHHHHHHHHHHHHHHHHHH!!!!!!!!!!!!!!!!!!!!!!!!!!!!!!!!!!!!!!!!!!!!!! i cant figure out that stupid snake puzzle every move i have is wrong i need to someone to make a walkthrough on youtube! Everytime theresa new puzzle thats green and theres no metal pieces in the fire its residue from the shotgun blast. If youre still missing pieces be sure to go through all the areas again. the ones from the bear will shoot one down close to the hand and its hidden by your item bar. also, theres one next to the bathroom sink that you may have missed since you have to click at the base of the sink to find. Take a piece of paper and draw the green square with both green and black tiles. then you start by pressing tile nr. 8, then nr. 9, nr. 3, nr.1, nr. 31, nr. 36, nr. 6, nr.5, nr.17, nr, 14, nr. 20, nr. 21, nr. 27 and finally nr. 29. Puzzle solved! help me with the puzzle plez!!!!!!!!!!!!!!!!!!!!!!!!!!! Start with the third square of the bottom row and go to the left. When you have a choice (which will only happen once), head to the right. Start with the second square of the fifth row (diagonally up one from the bottom left corner). Go up, then left. The rest of the path is self-explanatory (no choices to make). the walkthrough say that there are 29 pieces. I think smth is wrong with the orders between the 5 and 6 piece, because I count them again and again and I find out 5 pieces before bears teeth and no 6 as the walkthrough say… The sure thing is that we need 29 pieces of metal but where is the one missing??? Posted on Saturday, April 5th, 2008. Follow any responses through the RSS 2.0 feed.